Us Angels Communion Dress *The Lace-Style 281* - Size 8 & 10 Left Only! Home > Joan Calabrese - Us Angels -Bella -Communion Dresses and Gifts > Us Angels First Holy Communion Dresses- Flower Girl Dresses > Us Angels Communion Dress *The Lace-Style 281* - Size 8 & 10 Left Only! US Angels Commuion Dress - All Satin enhanced with a beautiful lace and satin bow cummerbund. 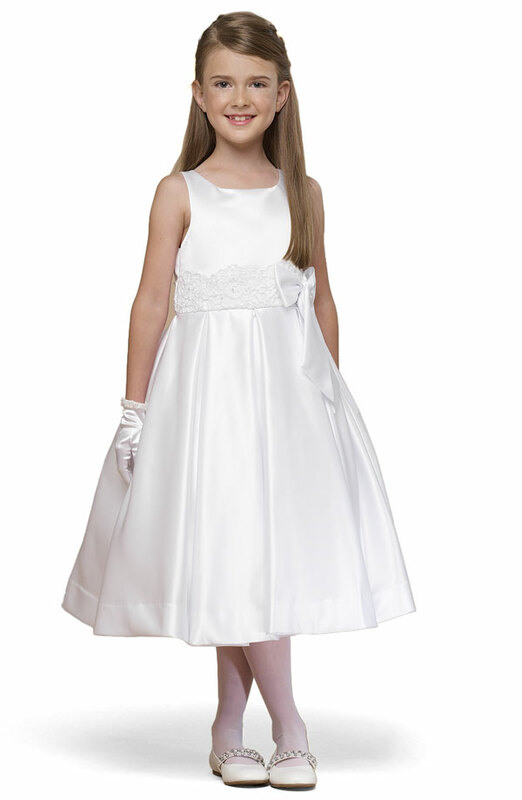 While the satin pleated skirt gives this communion dress sophistication. Taditional and Lovely!